I often think that female authors from the past excel at cruel stories with emotional and possibly supernatural tints, using apparitions, fears and forebodings to indicate heightened states of unspoken emotional distress. In Charlotte Perkins Gilman’s ‘The Yellow Wallpaper’ (now a staple on every English student’s comparative literature list), a wife possibly suffering from post-natal depression descends into madness after being quarantined by her husband and doctor, with nothing to do except stare at the increasingly disturbing patterns in her bedroom wallpaper. The story was used by a generation of feminists to condemn marital inequalities, and is regarded as a classic. But there are many whose names have lapsed from familiarity. As well as writing novels and ghost stories, she was an important anthologist and the editor of a series of popular collections. A friend to both D H Lawrence and LP Hartley, she spent two decades working for J M Barrie. She used her powerful literary connections to persuade an astonishing array of big names into her anthologies, many of which have never been bettered. Asquith was a fine storyteller in her own right, and produced a series of fantasies with the ring of truth, collected in a number of volumes, the best being ‘This Mortal Coil’, nine tales of spectral vengeance and unease in high Victorian style. Her stories conjure up a world of things unnamed and half in shadow, where the past is never far from the present. Typically, in ‘The Playfellow’, a lonely child adopts a malevolent invisible companion who may be more real than anyone imagines. As the 20th century progressed and private subjects could be dissected on daytime TV shows, there was suddenly no need for this kind of soft-spoken fiction, where the cruelties of men were visited on women in such a stealthy, unwholesome fashion that heroines were often driven mad. Mental instability and hysteria are seen as signs of weakness, and our female characters are stronger now. 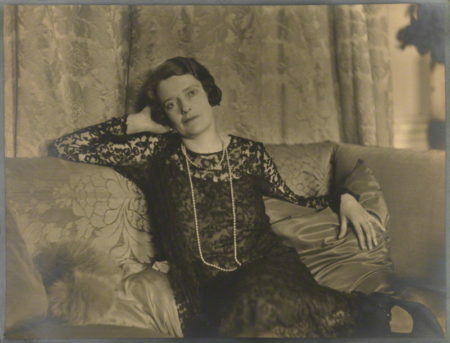 Paradoxically, Asquith is best remembered for her non-fiction works on the female members of the royal family, strong women almost to a fault. But her name still crops up in those eerie anthologies you occasionally find in paperback fairs. Intriguing. Anything mentioned in the same breath – or even article – as Gilman Perkins must be worth a look. If she was Lady Cynthia then she must have been aristocratic in her own right. or rather born to the right parents! She was the daughter of the Earl of Wemyss – hence her title. Interestingly the Llewelyn-Davis family accused her of persuading J M Barrie to sign a will in her favour on his death bed. Add her to the list. I am actively following these suggestions and having a great time, although I have rejected Albert Campion as a detective after a couple of tries and a dim memory from my teens. I’m tracking down The Green Hat and now I’ll have these as well. It is so good that “hysteria” does not have its early meaning any more and women can be themselves now. Don’t give up on Albert – at least not until you’ve read Sweet Danger. Alright, Vivienne, I’ll look up Sweet Danger. My library has quite a large selection of the series so it’s probably there.